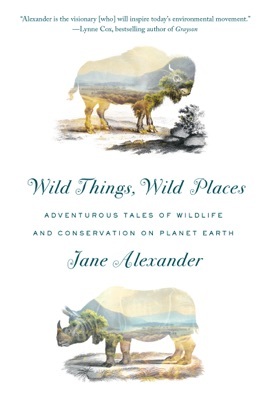 Veteran actress Alexander's latest offering is an impassioned if measured narrative of her explorations of little-known corners of the Earth with an eye toward celebration and conservation. A longtime nature enthusiast and conservation activist, Alexander (Command Performance) tracks her varied trips to distant locales, describing in intimate detail elements in ecosystems that may have been lost already or may yet be saved. On her adventure in the Andes of Peru, for example, she and her team delivered 5,000 polylepis trees to people who live in the high mountain community of Abra Malaga, answering a desperate need for replenishment of tree growth for heating fires but a secondary motivation included creating a sustainable environment for the disappearing Royal Cinclodes bird, which depends on the polylepis tree for shelter. A tone of alarm at points arises from the otherwise measured cadence of the narration: "We barely have a generation, maybe 20 years, to slow carbon emission... before the results are catastrophic." But the real force of the book resides in the author's articulation of her exhilaration of the wonders of nature (particularly her love of birds) and her willingness to ford streams, slash through jungles, and scale mountains to defend it.